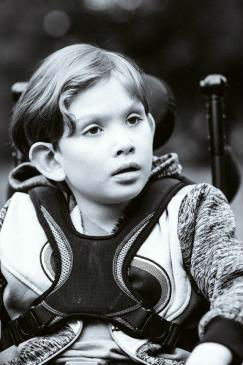 Azlan is an incredible eight-year-old boy who has been termed by his parents as the “happiest kid they have ever known.” According to his parents, Azlan gives their life meaning and purpose. Azlan was born on September 1, 2010 and doctors were already prepared for surgery. During the pregnancy, it was discovered that this little boy would be born with spina bifida. Spina bifida is a birth defect where there is an incomplete closing of the backbone and tissue around the spinal cord. It is a dangerous medical condition and requires immediate surgery. Spina bifida often includes other medical challenges. In Azlan’s case, the added challenges include a condition called hydrocephalus (having excess fluid around the brain). In just his first week of life, Azlan went through many procedures that closed the hole in his back, he had shunt surgery, and he had skin grafts done to protect the scar tissue on his back. By his first birthday, he experienced three shunt failures, thus requiring him to undergo three separate surgeries to re-install shunts. About a month after the last surgery, Azlan got a brain infection that completely set him back. He lost the words he knew and his ability to eat on his own for a time. Much effort was put into getting Azlan back to where he was functioning before the infection. At just eight-years-old, Azlan already has been challenged with a very intense medical journey. Despite every obstacle, and every hardship, this incredible boy is so full of joy and sweetness. Azlan has that spark that lights up the world around him. He has a smile that will melt your heart, and he is so affectionate and loving. He loves to snuggle, he enjoys SpongeBob, and he recently showed an interest toward horses. He is that sweet daily reminder to keep life simple and joyful. Azlan will be adopted as a Sparrow to Illinois Valley High School. Students at IVHS will work hard to raise money for Azlan through sponsored community service and fundraising projects.